What potential does Meitu users offer advertisers? The Meitu users contribute more than 50% of sales on skin care and makeup products. 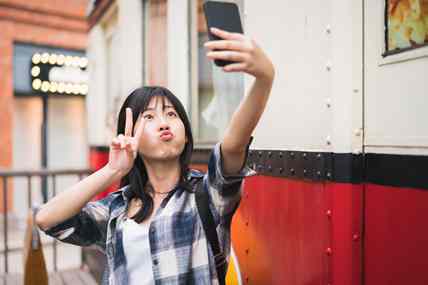 Chinese selfie application maker Meitu Inc started to trade in Hong Kong on Dec 15th, 2016, marking the biggest debut since the start of Shenzhen-Hong Kong Stock Connect. According to Kantar Worldpanel mobile tracking data, the top 5 Apps ranking by penetration in Beauty Apps are: Meitu, BeautyCam, Meipai, and Pitu, and Camera360. Meitu owns the top 3 applications in beauty app industry, around 71% of users will use Meitu apps in past one month to edit photos or videos. Due to the popularity of selfie and growth of social applications, people use beauty edit application once every three days. By profiling the Meitu user and total beauty edit app user, we can see that Meitu has capability to attract teenage group but not the young generation of age 20-24, also more come from PLC. Beauty application can quickly beautify figure, like brightening your face, enlarging your eyes, and shadowing your outline, etc and edit photos, like joining the photos, appending effect on photos, etc. Comparing with total beauty apps, Meitu users spend more both in Skin care and Make up category and more of them are buying make-up products. The user proportion of Meitu in Skin care and make up are only 44% and 48% but they contribute more than 50% of sales on these products. Given the aim of using Meitu is to cover skin imperfections or enhance features it follows that users would also use skin care products to gain these benefits in real life. Metitu user over-spend on skin care category with extra more 200 RMB from 2016, which already pass half of spend of all buyers on skin care. We define the user who use Meitu one day per month as Rarely (49% of total Meitu users), who use Meitu 2-4 days per months as Sometimes (31% of total Meitu users), and who use Meitu more than 5 days per month as Regularly (20% of total Meitu users). The likely reason for the similar spending on skin this that the Meitu Rarely users mainly come from 30+ age, 5001-9000 RMB income consumer. These group of people pay more attention on quality of skincare products and have willingness and ability to pay for it. The big difference in spending can be seen in the Make Up category. Meitu Regularly user like more making up to have a better look quickly in the photo. They show high interests on make-up products, and pay 4 times than light user, also 3 times more than total make up category buyers. Because make-up products can fulfil the need of becoming more beautiful and having better appearance right after getting make up. It’s exactly the same function of Meitu beautify tool. So Meitu regularly user definitely a make-up fanatics. And they are more skew to younger age (Teenage age 15-19), and low income group. They are more active in posting selfie with beautified photos, also they are young with less skin concern, so they have strong needs to use Meitu for editing and get image shinny and attractive immediately. As we all knew that BAT cover almost 100% of internet user everywhere, but it doesn’t mean that 100% of message can be delivered, here we see that although Meitu penetration is only 5.6% in total internet user but Meitu users are heavy skin care and make up category users. For advertisers, we shall balance the reach with wider in BAT and deeper in some niche Apps such as Meitu, etc to maximize the ROI and improve the brand. The time period of 2016 means the 52 weeks till 2nd December, 2016.